April 29, 2018 – Citrus City Grille Happy Hour With Brian Stodart! Join us for Happy Hour on our patio with the uplifting sounds of Brian Stodart. 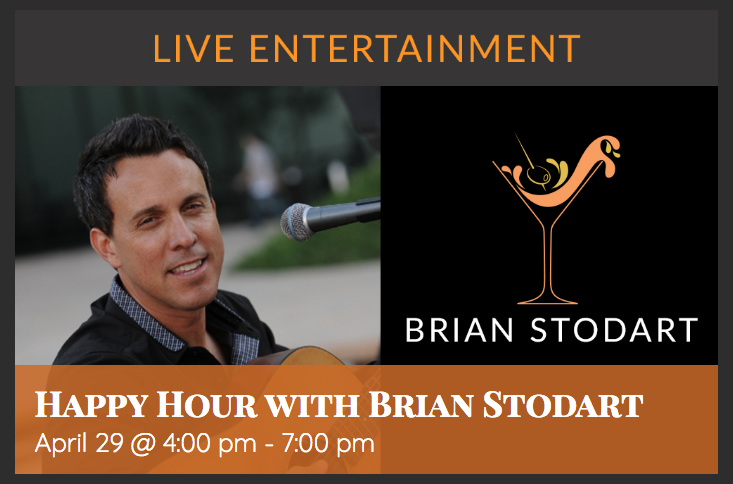 March 15, 2015 – Brian Will Be Performing LIVE At Monte De Oro Winery In Temecula!! Any plans this Sunday, March 15?? Brian will be performing LIVE at Monte de Oro Winery? from 1:00pm to 5:00pm, so why not head out and join him for a relaxing day! !